This tool is used for sizing and finishing of fine watch pivots. In this photograph the tool is used to finish a new balance staff for an old English pocket watch. The new staff is fitted between the centres of the tool and is carefully rotated forwards and backwards with a handheld bow whilst being treated with a pivot burnisher. 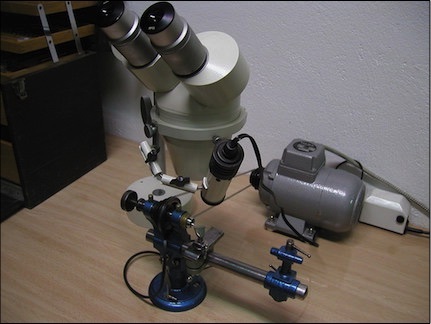 Often watch parts are so small that the best way for making or working on them is with the help of a microscope. 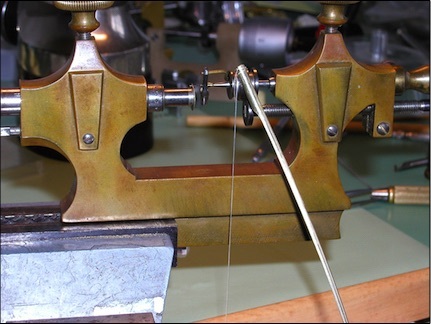 This includes turning small parts such as balance staffs on the watchmakers lathe. The quality stereoscopic magnifier shown here is great when trying to obtain a high grade finish. Badly damaged or missing wheels sometimes have to be replaced. In this case a pocket watch wheel is being cut new from a brass blank using a special gear cutter in the lathe set up for wheel cutting. 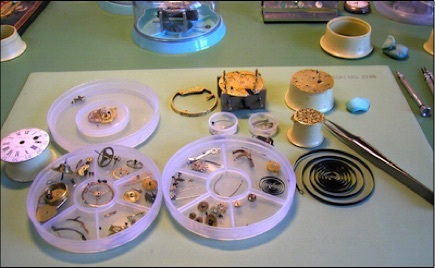 In my workshop I repair and restore antique and vintage watches, chronographs and pocket watches. I also manufacture quality watches and clocks for collectors. I do not work on electronic watches. 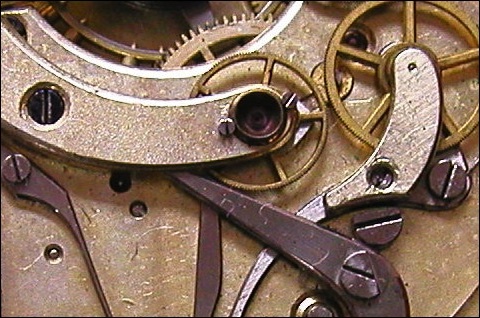 Over the last 30 years I have acquired a multitude of horological tools and equipment which have enabled me to carry out some of the specialist work needed in the restoration of antique and vintage watches. Sometimes, specialist tools and equipment for the horological trade are obsolete and unobtainable just like vintage watch parts. In such cases the tool, an accessory or even an entire machine will have to be made. This is a fairly time consuming process but tools made this way usually last a lifetime.